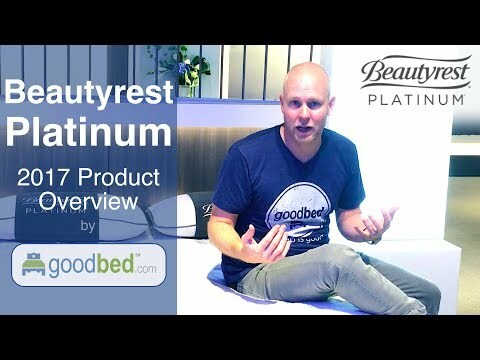 GoodBed's simple explanation of the full range of Beautyrest Platinum (non-hybrid) mattresses for 2017-18. 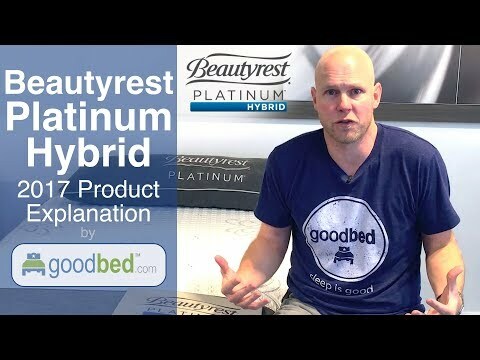 GoodBed's simple explanation of the full range of Beautyrest Platinum Hybrid mattresses for 2017-18. 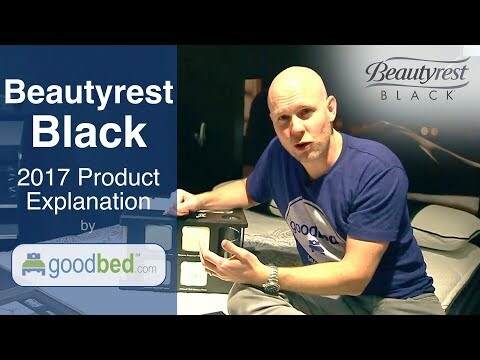 GoodBed's simple explanation of the full range of Beautyrest Black mattresses for 2017-18. 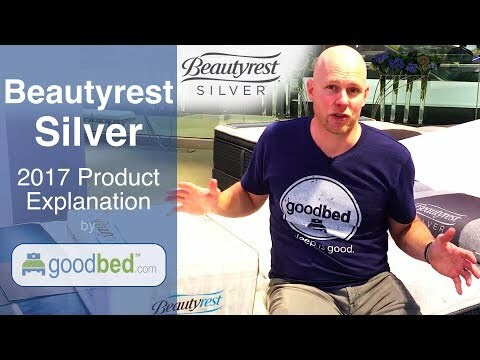 GoodBed's simple explanation of the full range of Beautyrest Silver (non-hybrid) mattresses for 2017-18. 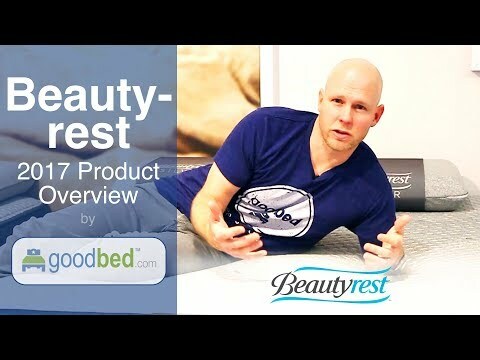 GoodBed's simple explanation of the full range of Simmons Beautyrest mattresses, including the Beautyrest Black, Platinum Hybrid, Platinum, Silver Hybrid, Silver, and BeautySleep collections. The Beautyrest Black Calista Extra-Firm mattress combines foam, memory foam and pocketed coils in a 12" tall bed that's firmer than most. Is it right for you? Is Platinum the right bed for you? The Beautyrest Platinum collection is recommended by 63% of owners on GoodBed (based on 223 ratings + 8 reviews). 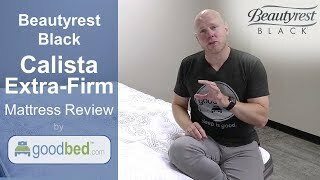 Do you have a Beautyrest Platinum mattress? Write a Review! Have a question about Platinum bedding products or stores? Pocketed Coils Details: Helps provide comforting support and motion separation for undisturbed sleep. Mattress Thickness: 12.50" to 16.50"
Note: The product line specifications above were derived from the active Beautyrest Platinum models listed on GoodBed. As a result, these details may not be comprehensive and may not apply to all Beautyrest Platinum models. If you are seeking specifications for a particular Beautyrest Platinum mattress, please search for that mattress by name on GoodBed, or check with your local Beautyrest Platinum dealer. The Platinum mattress collection is a collection of innerspring mattresses released in 2016 that is manufactured by Simmons. Have an update or correction to our information about Beautyrest Platinum? If so, please take a moment to suggest an edit. Beautyrest Platinum mattresses sold by Amazon come with a 30-night in-home trial. Showing stores with Beautyrest products nearest to Fairfield, CT. Call store first to confirm availability.